It's a good car but Doesn't pass inspection, engine is good. Never over-heated ! Need to fix some parts, ball joint coil spring rear bearing, 700 neg Needs to go!. This junk auto AD was created on April 9, 2019 and it is located in the city of Edmundston, state of New Brunswick. 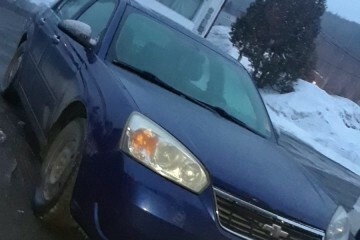 In case you're interested on the entire Chevrolet Malibu 2006 or any spare, or want to make any related question, please use the form below in order to contact directly to the seller.